It’s simple; we are your passionate, experienced and loved Estate & Letting Agent. Hannon Holmes is an estate and letting agent covering Greater Manchester with branches in Bolton and Swinton. We are made up of a team of experienced individuals whose local and industry knowledge is second to none. Priding ourselves on being an upfront and honest estate agent delivering the property services you deserve. 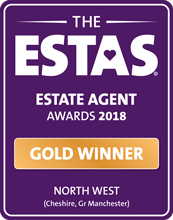 Our honest and current approach to property sales and lettings has earned us a fantastic reputation and this has resulted in us gaining the prestigious “ESTA” award at the Estate Agent of The Year Awards held in London. An agency that listens to what their customers really want. Find out more about our Multiple Awards. We were ahead of most agents in our industry by ensuring we had Client Money Protection in place. This covers our clients for many eventualities should there be an issue within our business. Client Money Protection (CMP) schemes enable lettings and estate agents to reassure tenants, landlords, buyers and vendors that their money is safe. Our CMP is provided by Lonsdale Insurance Brokers Limited and is authorised by the Property Ombudsman and the TSI (Trading Standards).